SUNSPOT SYZYGY: Sunspot group 1023 has an eye-catching shape--it is a straight line. The group's four spots have formed a rare "sunspot syzygy." The formation makes a nice target for backyard solar telescopes. 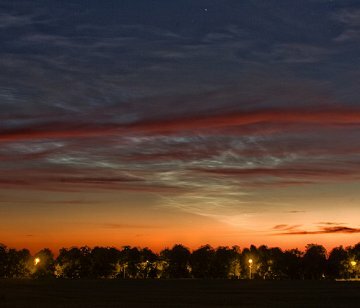 "Yesterday evening, June 23rd, I noticed these noctilucent clouds shining through cirrus clouds above my home in Potsdam-Bornstedt," says Rollwagen. "It was a colorful and dynamic scene. Note how the noctilucent and cirrus clouds move in opposite directions." "I made the movie using my Canon EOS 300Da," he adds. 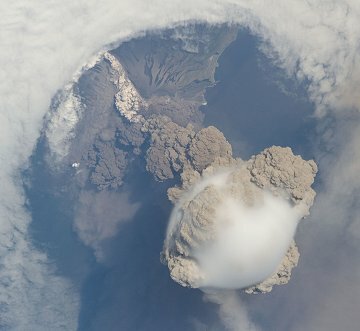 On June 24, 2009 there were 1064 potentially hazardous asteroids.